General Motors reported first quarter 2013 net income attributable to common stockholders of $900 million, or $0.58 per fully diluted share, from revenue of $36.9 billion. That represents a $100 million decrease in net income compared to Q1 2012, when The General reported a net income of $1.0 billion, or $0.60 per fully diluted share, and a $900 million drop in revenues from $37.8 billion in Q1 2012. GM points out that the Q1 2013 results include a net loss from special items that reduced net income by $0.2 billion, or $0.09 per fully diluted share; by comparison, Q1 2012 results included a net loss from special items of $0.6 billion or $0.33 per share. Furthermore, Q1 2013 earnings before interest and tax (EBIT) adjusted was $1.8 billion, compared to $2.2 billion the first quarter of 2012, while first quarter EBIT-adjusted results for 2013 are impacted by $100 million in restructuring costs. 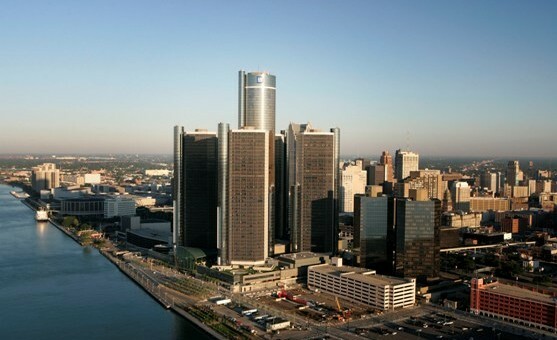 GM North America reported EBIT-adjusted of $1.4 billion, compared with $1.6 billion in the first quarter of 2012. GM Europe reported an EBIT-adjusted of $(0.2) billion, compared with $(0.3) billion in the first quarter of 2012. GM International Operations reported EBIT-adjusted of $0.5 billion, compared with $0.5 billion in the first quarter of 2012. GM South America broke even on an EBIT-adjusted basis, compared with EBIT-adjusted of $0.2 billion in the first quarter of 2012. GM Financial earnings before tax was $0.2 billion for the quarter, compared to $0.2 billion in the first quarter of 2012. It is worth noting that starting with this quarter, GM “will report segment revenues and profits based on the geographic region in which a vehicle is sold”. Before, “segment results included the impacts of inter-segment sales and profits”, while “prior year segment results have been reclassified so all information is shown on a comparable basis”, with consolidated results being unaffected by this change. Meanwhile, results and earnings for Chevrolet Europe will continue to be recorded in GM International Operations. The automaker ended the quarter with strong automotive liquidity of $35.3 billion. Automotive cash and marketable securities was $24.3 billion compared with $26.1 billion at year-end 2012. We have a fleeting suspicion that profit was down due to the high incentives placed the outgoing GMT900-based trucks, and that come Q2 and Q3, the profits will rebound as new K2XX-based 2014 Silverado and Sierra hit the streets. It will also be interesting to see what effects the continued growth of Cadillac in the U.S. and in China will have on The General’s bottom line. Europe could have been far worse, they are both the bad news and good news.